So, you probably know how much I dislike ratings and lists by now. The fellow bloggers making top “10 startups” lists and pushing it as contributor posts only because they are getting paid by a startup which tops the ranking. Firms that cater themselves to the startup community make arbitrary ranking with a mildly justified reasoning behind a selection. A truly honest and honorable attempts to promote country’s fledgling entrepreneurs lost because of underestimated efforts and a half-hearted crowdsourcing support from the competition judges. I suppose the Bloomberg Innovation Index, which came out in a format of a slide show (you get to click 50 times rather than just once to learn what countries made the list) masqueraded as a decent collection of images of the respective countries. It is this entry that I’d like to ponder. 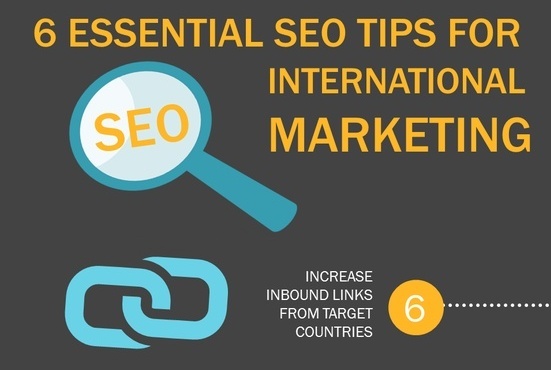 Social media experts suggests to make top 10 lists to drive interest to a story, whilst SEO experts recommend maximizing inbound links from the target countries. Was this a real reason behind Bloomberg innovation ranking? Let’s see, to save you clicks, I pulled out the CEE countries out of the list to show you just how the sloppy the index really was. 14. Russia. The researcher must be fond of Cut The Rope, alas one can not judge country’s innovation purely on that game alone. Russia pumps money into Skolkovo, true, but the quantity does not mean quality. Whilst Avito raised $75 million last year, and KupiVIP funding is much higher, these are the Russian Internet businesses doing classified ads and ecommerce, not globally-innovative companies inventing new technologies. Russian investors still complain about lack of good projects but the is only a handful of startups like Zingaya or Ecwid that are implement original concepts on a global scale. 19. Slovenia. A very small country with admittedly a good selection of globally minded startups, such as Toshl, Vox.io, Outfit7, Zemanta, DoubleRecall, Celtra and many others. Probably a good spot, yet to make an accurate judgment one must also know a thing or two about Iceland that closely follows Slovenia in that “Index”. 23. Czech Republic should be higher on the list considering the crop of recent startups going places, raising Series B rounds, or just being downright acquired by Cisco (Cognitive Security) or going public (AVG). Not sure I am familiar with too many Australian exits as I am not tracking the subject, but Aussies are one step ahead of Czech Republic according to Bloomberg. 26. Hungary. Unfortunately we do not hear much about startups from Hungary lately, and the startup coverage is mainly in Hungarian, whilst Hungarian entrepreneur’s preferred social media channel is LinkedIn. 30. Poland. We like Poland, and we see a lot of money being spent on startups by the EU government, yet there are not so many startups showing traction on a global market with innovative technologies. 31. Estonia. Yes, this would be probably my major point. If the Bloomberg researchers went through Estonia section on GoalEurope, flipped through every second issue of Economist, took a peak at Wall Street Journal TechEurope or maybe even browsed TechCrunch, they would have put Estonia in top 10 innovation countries. 33. Lithuania. Probably a little too low on the list provided the lively startup scene, recently covered by Eddie Balcikonis. As for the remaining lot, I can say only this: there is sadly no space for Belarus or Macedonia on this list. We know a few teams from Belarus and the country is promoting its outsourcing industry, but innovation it is not. As for Macedonia, despite the best efforts of Balkan Venture Forum, we spoke to investors who considered Macedonia as an investment region and decided against it. We don’t write about Macedonian startups simply because we have nothing to say. At the same time Bulgaria, Latvia and Romania simply can not be so much down the list on the same level as Iran or Argentina, which reportedly cooks books on its macroeconomic indicators (yet Chile, renowned for its own startup accelerator, is nowhere on the list). Investors are hot on Romania, Seedcamp and TechChill Baltics continue to reveal fresh teams going places, whilst Bulgaria has bustling, but not sufficiently covered startup community. And why Tunisia is on the list at all is beyond me: maybe Mike Butcher’s EMEA challenge will shed more light on MENA region, but for now the search string TechCrunch Tunisia just produces reference to the Twitter snapshot of Tunisian revolution. Despite known the region quite well, I would not dare to make a ranking of my own. There is simply no basis. Yet the click-experts and list-lovers will probably continue with their thankless tasks. It brings clicks. It shares well. Who cares about reputation? Have a great day.